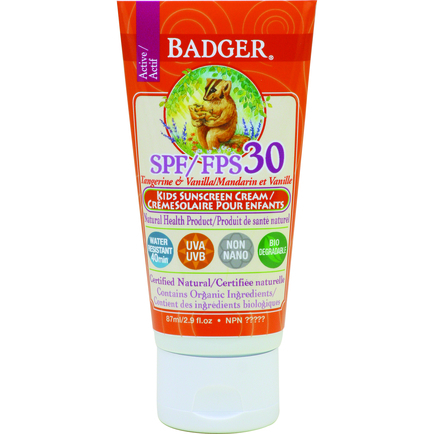 Safe chemical-free broad spectrum protection from UVA & UVB using the mineral Zinc Oxide. Smells great! Lightly fragranced with non-photosensitizingessential oils of Tangerine & Vanilla in a gentle Sunflower Oil base. Directions for use: Knead tube before each use. For full protection, apply liberally (2mg/cm2 of skin) to all exposed skin 15 minutes before sun exposure, then rub in to reduce whitening effect. For children under 6 months of age: ask a doctor. Reapply kids sunscreen cream: After 40 minutes of swimming or sweating. Immediately after towel drying. At least every 2 hours.